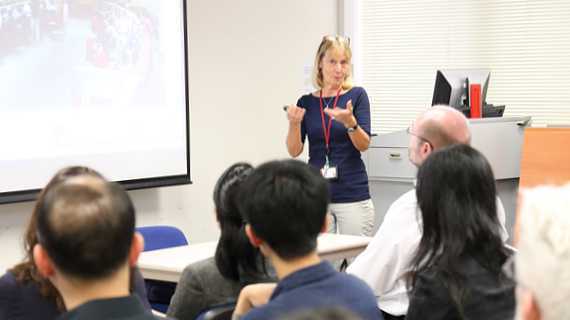 Professional communication is an area which attracts a considerable amount of interest, both in Hong Kong and internationally. 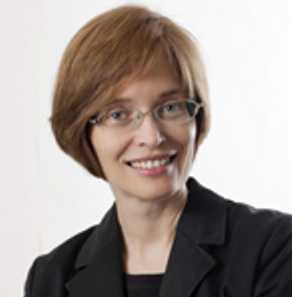 Corporations, associations and professional bodies already exist and attempt to apply available research findings in practical ways, through the design and provision of language training programmes. 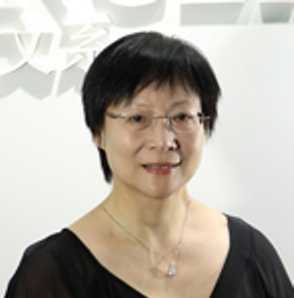 The collection contains real-life texts, discourses and genres collected from different professional communities and contexts in Hong Kong. 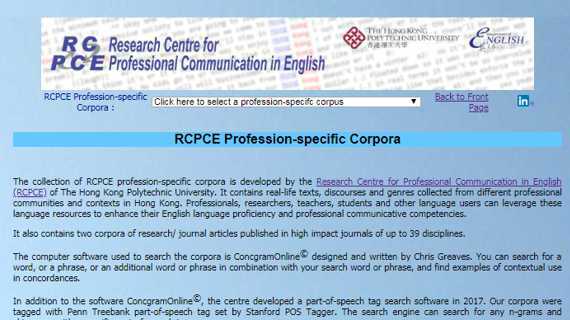 Professionals, researchers, teachers, students and other language users can leverage these language resources to enhance their English language proficiency and professional communicative competencies. 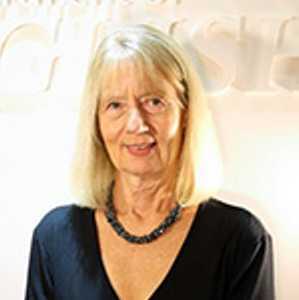 On the final day of the Global Advances in Business & Communication (GABC)-the 9th Tricontinental Conference at the University of Antwerp in Belgium, the panel convened to recommend the drafting of a manifesto to sets out an agenda for a systemic line of enquiry in this field and it was agreed the Research Centre for Professional Communication in English (RCPCE) could spearhead and house this initiative. 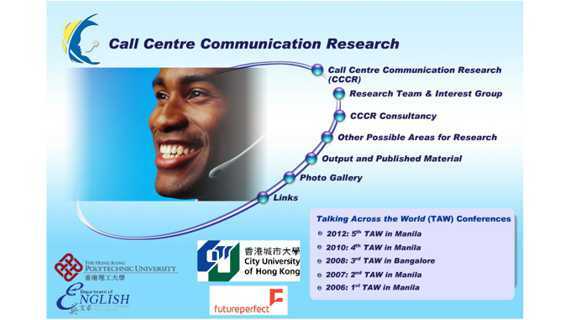 This study aims to provide a pilot study which investigates the discourse of call centres and specifically focusing on the generic and lexico-grammatical features present in these texts. 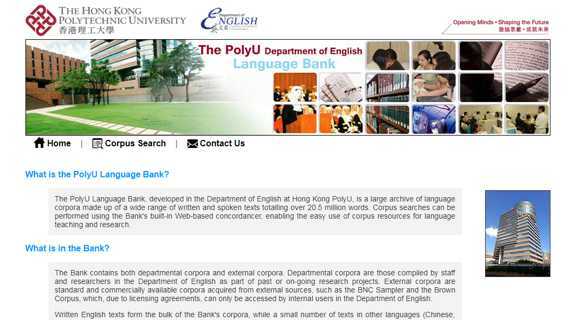 The PolyU Language Bank, developed in the Department of English at Hong Kong PolyU, is a large archive of language corpora made up of a wide range of written and spoken texts totalling over 20.5 million words. 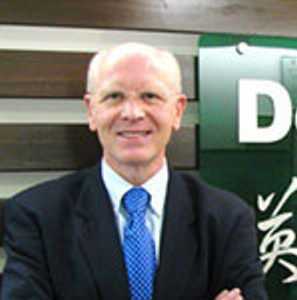 Corpus searches can be performed using the Bank's built-in Web-based concordancer, enabling the easy use of corpus resources for language teaching and research. 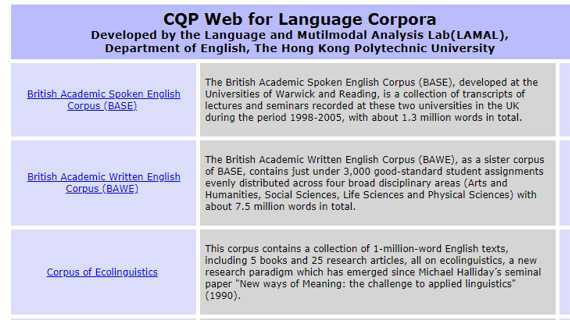 The CQP Web for Language Corpora was developed by the Language and Mutilmodal Analysis Lab(LAMAL), Department of English, The Hong Kong Polytechnic University. 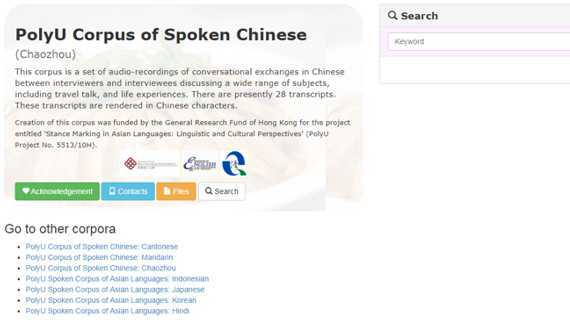 This corpus contains eight sets of audio-recordings of conversational exchanges in different languages in Asia between interviewers and interviewees discussing a wide range of subjects.